COLUMBIA, 7/28/16 (Beat Byte) -- By now, you probably know city leaders want to raise taxes on hotel and motel owners to "improve" the long-suffering Columbia Regional Airport. What you may not know is that local banks are the largest backers of a Political Action Committee (PAC) formed to raise those taxes -- and anything else that generates revenue under force of law (City Hall owns the airport and most utilities). "Banks forming a PAC to raise taxes? You've got to be kidding!" said a banking VP friend of mine recently. "Bankers usually stand for lower taxes and conservative politics. Are people pissed off? It sounds very fishy." The PAC -- Foundation for Columbia's Future (FCF) -- raised nearly $20,000 to push a stormwater utility rate hike last year, and nearly $70,000 so far this year to bump up the hotel/motel tax. FCF shares a mailing address -- POB 678 -- with Central Bank of Boone County (formerly Boone County National Bank). 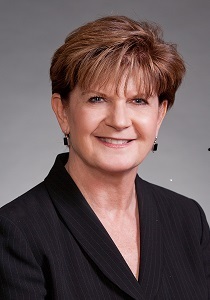 Pamela Bross, wife of Central Bank commercial lending VP Ryan Bross, is the PAC's treasurer. Commerce Bank president Teresa Maledy is the PAC's on-air spokesperson. The PAC's banking donors, according to Missouri Ethics Commission filings, include Landmark Bank; Central Bank of Boone County; Missouri Credit Union; Commerce Bank; First Midwest Bank; Hawthorn Bank; Commerce Bank; First State Community Bank; and Providence Bank. Each bank has contributed between $250 to $3,000, averaging $500 to $1,000 each. The PACs other donors include prominent developers; and businesses that benefit from the tax and rate increases: Engineering Surveys & Services, Lathrop & Gage, attorneys; Ace Pipe Cleaning; PW Architects; construction giant Emery Sapp & Sons; Hulett Heating; Mid City Lumber; Home Builders Association of Columbia; and the development community's leading mouthpiece, the Central Missouri Development Council. To answer my out-of-town banker friend's question, I am pissed off. I don't like my bank joining forces with this bunch to push tax and rate hikes that take money out of my account for deposit to one or more of City Hall's 250 accounts. The banking PAC with the friendly name is actively undermining my ability to make a living, and adding financial and economic stress to our city, recently named Missouri's most expensive place to live, all in an apparent rush to bump up loan volumes under the guise of "a better future." In case you haven't noticed, city leaders in recent years have led a frenzied push to raise every cost imaginable, from parking fines to sales taxes. At the same time, student apartments have been sprouting like weeds. Developers need loans to build student apartments, and banks need deposits to make those loans, especially high-risk loans that require higher deposit reserves. Enter local government: Columbia Public Schools, Boone County, City Hall. Together, they've deposited an astonishing $600,000,000 in liquid bank accounts, much of it available to back loans. "A big part of what we do is make loans to people in the community, and Boone County is a great source of local deposits," Landmark Bank Regional President Matt Williams said last year, when his bank landed a contract to hold Boone County government's tax receipts. I've criticized Columbia Hospitality Association president Glyn Laverick, but 100% agree with a comment he made at a forum opposing the airport tax. "'I’m sick of being asked to approve taxes without plans. Time and time again, we’ve asked the city questions that are fundamental to any business plan, and the answers' are not adequate." No plans required, however, when bank deposits and loan volumes are the real goals. You are here: Home Politics Campaigns and Elections WHY IS CoMo BANK PAC: Leading the charge to raise taxes, rates, and fees?